Harry never knew he was a wizard, and a famous one at that. He grew up with his aunt and uncle and their spoilt son who were all mean to him and punished him every time they could. He had a miserable 10 years with them as an orphan – his parents supposedly died in a car crash. Then one day he got a letter from a huge man named Hagrid who delivered it to a hut on the sea where the family was hiding. He learnt he was a wizard and that he was accepted to a magical school named Hogwarts. There he made new friends for the first time in his life, learned a lot about magic and magical world, and in the end even faced the dark wizard Lord Voldemort who tried to kill him ten years ago. Harry managed to escape yet again and saved a precious Philosopher’s stone in the process – a stone that turns any metal into gold and produces the Elixir of Life which makes the drinker immortal. He helped his house win the House Cup as well. It was a strange day one October when Vernon Dursley left for work. Owls were seen everywhere, strange people in weird clothes were on every corner, and there was a lot of fireworks all over the country. They made Vernon very jumpy as he didn’t want anything to do with magic – which he suspected was at fault for the strange day he was having. The next day didn’t improve when Harry, Vernon’s orphaned nephew, was found on the Dursley’s doorstep. He was brought there that night on a flying motorbike by a man named Rubeus Hagrid, a half-giant and gamekeeper at Hogwarts. Hagrid met with Hogwarts’ headmaster Dumbledore and deputy headmistress McGonagall. She was worried about the family Harry was left with after the death of his parents, but Dumbledore was sure he was better off growing among Muggles and not knowing he was famous and why. Harry spent with the family ten miserable years. He was underfed, he slept under the stairs in a small cupboard, he wore his cousin’s too big clothes and he was constantly bullied by his aunt, uncle, cousin Dudley and Dudley’s friends. It was a stroke of luck that he was allowed to go with the family to the zoo for Dudley’s birthday, since his ‘nanny’ broke her leg. He tried to keep a low profile, but as trouble usually followed him, he somehow managed to let a Boa Constrictor loose and got punished for it. A few days later he got a letter. He didn’t even open it when it was taken away. His aunt and uncle knew what it was but never told him. They threw the letter – and hundreds more that came in the mail in the following week – away. Uncle Vernon finally had enough and made them leave home. They traveled far but the mail followed. Finally they ended up in a hut in the middle of the sea where uncle Vernon thought they are safe. It was the day before Harry’s birthday. That night at midnight, when Harry wished himself a happy birthday, the door of the hut fell down and a huge man entered. It was Rubeus Hagrid and he brought Harry a cake and a letter. He explained to Harry he was a wizard and that his parents didn’t die in a car crash as he was told but were killed by a dark wizard named Voldemort. Hagrid also had a row with uncle Vernon and aunt Petunia about lying to Harry and about Vernon not allowing Harry to leave for magical school Hogwarts where he was accepted. Hagrid put a spell on Dudley that made him grow a pig tail. Harry and Hagrid left for London the next morning to buy all school things. They went through the Leaky Cauldron where Harry met a lot of his fans, and emerged in Diagon Alley. The shopped all day for cloaks and books and potion ingredients. Hagrid bought Harry a snowy owl for his birthday. When shopping for wands, Harry was chosen by a ‘sister’ wand of the one that killed his parents. They were also at the bank where Hagrid took out a package for Dumbledore while they were picking up Harry’s money. On September 1st, Harry was dumped at King’s Cross station by his family and left there. He was supposed to go to school from Platform 9 and 3 /4 which was nowhere to be found. Harry grew very worried but then found a wizard family that helped him through the barrier between Platforms 9 and 10 to get on the train. On the train he made friends with Ron Weasley. His family helped Harry get on the Hogwarts Express. He and Ron learnt about each other’s worlds, ate a lot of wizard candy and worried about school. They met Neville, who lost a toad, a Hermione, a bossy know-it-all who helped Neville look for the toad. They also met Draco Malfoy, a snotty boy whom Harry already met in Diagon Alley before. They almost fought but Ron’s rat Scabbers ‘saved the day’. They arrived at Hogsmeade train station in the north of the country by the evening and were taken by boats to a huge castle – Hogwarts. After the sorting, where Harry and Ron were sorted into Gryffindor along with Neville and Hermione, they had a huge feast. Lessons followed and Harry quite enjoyed all of them, except Potions, where their professor Snape was bullying Harry. Harry was convinced Snape hated him. After a terrible first Potions lesson with Snape, Harry and Ron visited Hagrid who lived on school grounds. There they learnt that the attempted robbery at Gringotts happened the day Harry was there. Harry recalled that Hagrid had removed a small package from the vault that had been broken into. When flying lessons started, Harry had a row with Malfoy after he found a Remembrall, a gift from Neville’s grandma that the boy lost when he fell off the broom. Harry went after Malfoy to get it and was spotted by professor McGonagall. Instead of punishing him she made him a Seeker in Gryffindor house Quidditch team. He was also gifted a brand new broom, top-of-the-range Nimbus 2000. Draco tricked Ron and Harry, who were (unfortunately) accompanied by Neville and Hermione, when he didn’t show up for a midnight duel and left them wandering the corridors dodging the caretaker Filch. They accidentally entered a forbidden corridor and found a huge three-headed dog. After safely back in the Gryffindor tower, Hermione told them that the dog was standing over a trapdoor. Harry concluded that the monster was guarding the package Hagrid retrieved from Gringotts. At Hallowe’en feast professor Quirrel informed all of them there was a troll in the dungeons, and they ran for covers of their dormitories. But Harry and Ron knew about Hermione crying in a toilet and went after her. Before they got her, they had to battle the troll and Ron managed to knock it out. After that they all became close friends. One evening Harry saw Snape’s leg being tended after a bite from the dog on Hallowe’en. Snape was the best suspect to steal whatever the dog was guarding. During the game next day, Harry’s broomstick went out of control, and Hermione saw Snape staring at Harry and chanting. She ran over to Snape’s seat, knocking over Professor Quirrell mid-run, and set fire to Snape’s robe. Harry regained control of his broomstick, caught the Snitch, and won the game for Gryffindor. Afterwards, Hagrid let slip that the three-headed dog was his and that the monster was guarding something that belongs to Professor Dumbledore and Nicolas Flamel. Trio started an extensive search about Nicholas Flamel as Harry was sure he read the name somewhere before. Harry stayed at Hogwarts for Christmas, and one of his presents was an Invisibility Cloak. Harry used it to search the library’s Restricted Section for Flamel, and while hiding from Filch and Snape, he found the Mirror of Erised. It showed him his family he never met. Harry became addicted to the Mirror and revisited it twice until he was told by Professor Dumbledore that it only shows the viewer their deepest desires and that Harry should stop searching for it as it will be moved. After the holidays they finally found Flamel on a Dumbledore Chocolate Frog card. 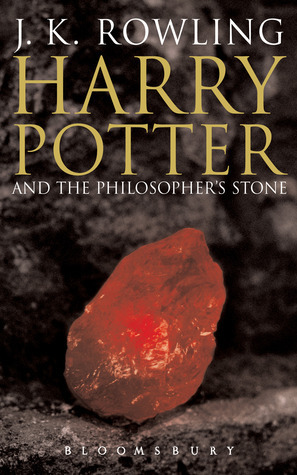 Hermione brought a book and explained that Flamel is a wizard who owned the only known Philosopher’s Stone. They concluded that Snape was after it for the riches. After the next game towards Slytherin that Harry won for Gyffindor in a matter of five minutes, Harry saw Snape sneaking into the Forbidden Forest. There he half-heard a conversation about the Philosopher’s Stone between Snape and Quirrell. Harry concluded that Snape was trying to steal the Stone and he needed Quirrel to get past his defenses to get to it. After meeting Hagrid in the library, the trio discovered that Hagrid was raising a dragon, which is against the law, and after Draco saw it as well, they decided to help in smuggling it out of the country around midnight in a few days time. Draco, hoping to get them into trouble, told Professor McGonagall. Even though Harry and Hermione managed to get rid of the dragon, they forgot the Invisibility Cloak and were caught. Harry, Hermione, Draco, and Neville, who was caught by McGonagall as well after looking for Harry to warn him, were punished by helping Hagrid to rescue an injured unicorn in the Forbidden Forest. While in the forest, they met centaurs, who never gave a straight answer if they knew anything about the unicorn. After going further into the forest, Harry and Draco found the wounded animal. Approaching it, they found a creature feeding from it, and Draco fled in terror. The creature then lunged after Harry, but Harry was saved by another centaur named Firenze. Firenze told Harry he just met Voldemort. A few weeks later, Harry asked Hagrid about the dragon egg that was given to him by a hooded stranger. The mysterious man had asked him how to get past the three-headed dog, which Hagrid, very drunk, revealed: with music. Realizing that defenses of the the Philosopher’s Stone were now in danger, Harry ran to inform Professor Dumbledore, only to find that the headmaster left for London. Harry figured Snape faked the message to get headmaster out of the way and will try to steal the Stone that night. Harry, Ron and Hermione went after professor Snape through the trap door. As they came over all the obstacles set there by different teachers – a trapping plant, enchanted keys and chess set, and a potion riddle – Harry was left alone with the man who was after the stone. Only it turned out it was Professor Quirrel rather than Snape. Quirrel had Lord Voldemort on the back of his own head under the funny-smelling turban. The last obstacle was the Mirror of Erised and Harry managed to get the stone from it before Quirrel. After Quirrel, by command of Voldemort, demanded it and attacked Harry, Harry managed to save himself with his touch – Quirrel’s skin burned and blistered where it came in contact with Harry. Quirrel died, Voldemort escaped and Harry fainted. He woke up in the hospital wing 3 days later. Dumbledore explained that Harry’s touch was due to love his mother imprinted on him and it was so good it hurt the evil in Quirrel. He also told Harry the stone was destroyed and that Voldemort will come back and find new ways to get what he wants. At the feast at the end of the year, Harry, Ron and Hermione won Gryffindor 160 points for their saving of the stone, and even Neville got ten points to bump the house into victory over Slytherin. Hagrid presented Harry with an album of his parents and when they left for home, Harry was a little cheerful; his family didn’t know he wasn’t allowed to do magic.